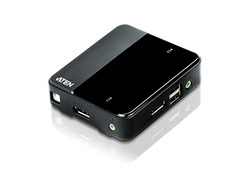 USB | Simply Connect Pte Ltd. 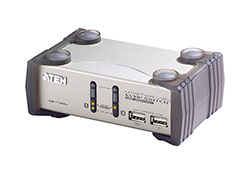 The ATEN CS1922 2-Port USB 3.0 4K DisplayPort KVMP™ Switch provides the latest innovations in desktop KVM switching technology for the increasing demand of higher video quality and transfer speeds on modern computers. 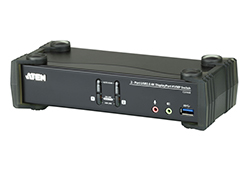 The CS1942 2-port USB 2.0 Dual View Mini DisplayPort KVMP™ Switch allows access to 2 computers from a single USB keyboard and USB mouse with dual displays. 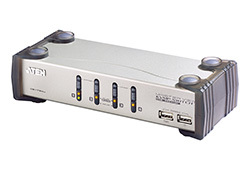 The CS72U 2-Port USB KVM Switch is a desktop control unit that allows users to access two computers from a single KVM console (keyboard and mouse, audio and VGA monitor). 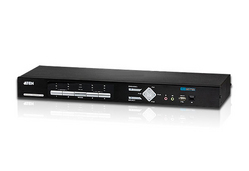 With the CS72U, you can access computers conveniently using port selection pushbuttons located on the unit’s front panel. 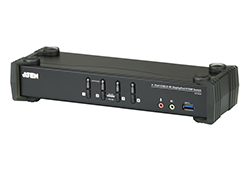 The CS74U 4-Port USB KVM Switch is a desktop control unit that allows users to access four computers from a single KVM console (keyboard and mouse, audio and VGA monitor). 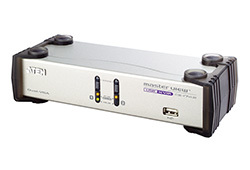 With the CS74U, you can access computers conveniently using port selection pushbuttons located on the unit’s front panel.